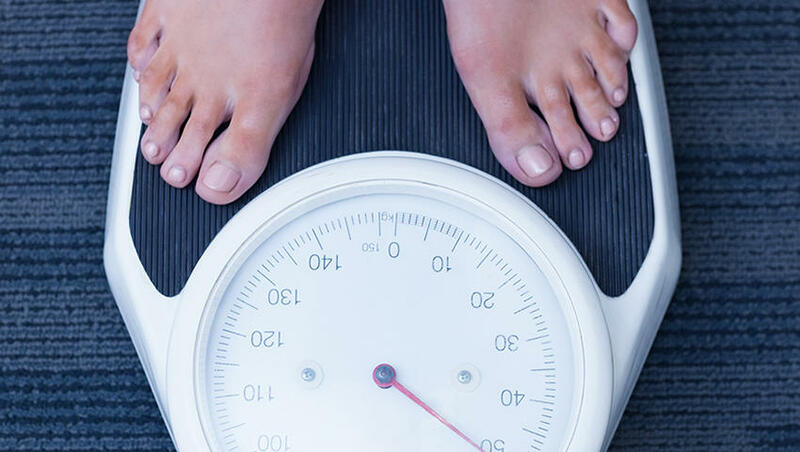 There's an underlying assumption out there that the only real effective way to lose weight is to cut down on the number of calories we take in while increasing exercise. This is not true because there are so many other variables that go into losing weight, especially when it comes to our bodies. Not surprisingly, there are, then, other ways that you can lose weight, and many don't require you to count calories. Here is a list of some of those possibilities. 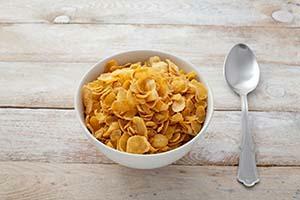 Changing your breakfast menu might be one of the best ways to lose weight. 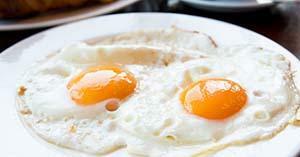 If you replace your bagel with eggs, studies show you can actually lose weight without trying. One study of 30 overweight or obese women, gave them each either bagels or eggs for breakfast. The group that ate eggs showed a reduction in the number of calories they consumed not only at lunch but all the way through the next 36 hours. The conclusion here is that since eggs are more filling, the women ate fewer calories. Another study of 152 overweight men and women ate the same breakfast menu, either bagels or eggs, while they all kept a weight-loss diet. 8 weeks later, the egg eaters not only lost more weight, but lost 34% more off their waistlines, dropped 16% more body fat, and saw a 65% larger reduction in their Body Mass Index (BMI). And this was all due to changing just that one thing in their breakfast menu. Did you know that it is our brain and not our bodies that decide when and how much we're going to eat? Since a lot of our eating is visual, try using smaller dishes when it comes to serving your meals. If you reach for a giant bowl or dish when serving your meal, your brain is going to instinctively tell you to fill it up. So by shrinking your dish size, your brain will adjust too and you'll eat less. There is ample evidence that points to protein consumption for increased fat burning and reduced hunger. Thus, by extension, weight loss. Studies show, too, that protein will boost your metabolism better than any other macronutrient, and that the reason for this is that the body burns more calories digesting protein than it does for fats and carbs. Protein is also an effective appetite suppressor. One study showed that by making protein 30% of one's daily calorie intake, it can reduce a person's overall calorie intake by as many as 441 calories per day. Protein also helps build muscle mass, since muscle tissue is metabolically active. Don't be afraid to put more protein into your diet, ideally through the consumption of meat, fish, and eggs. A good way to feel fuller on fewer calories is to load up on low energy dense foods such as vegetables and fruits, or any others that have higher water volumes. One study showed that women who ate just soup, which is a low energy density food, saw 50% more weight loss than those who didn't. There is no way around it, cutting your carbohydrate intake is the most effective way to lose weight. Just about every study ever conducted in the field has shown that by cutting carbs people start losing weight, often instantly. The best place to start is by ditching your major carb sources like sugars, soda, and starchy foods like bread and pasta. You should eat between 100 and 150 grams of carbs a day, to start seeing real results. For maximum weight loss consume under 50. Another offshoot of carb reduction will be that your insulin levels will be lowered, thus sparking your kidneys to start shedding excess sodium and water weight. These two factors are often omitted from conversations about weight loss, but they're quite important for your health. Did you know that inadequate sleep is one of the most prominent factors leading to obesity? Minimal sleep can raise a child's risk of obesity by up to 89%, while it can increase an adult's by 53%. Consistent lack of sleep often increases hunger and cravings, which in turn disrupts hunger hormones like ghrelin and leptin, which will lead to weight gain. Stress can also affect hormones, most notably cortisol, which is linked to belly fat increase. Get good sleep and get rid of the stress. Coconut oil's Medium Chain Triglycerides (MCTs) makes it perhaps the best cooking oil around. Studies show that eating these MCTs result in consuming fewer calories, sometimes up to 256 per day. At least one study has shown, too, that MCTs might increase energy expenditure by up to 5%. There are many nutritional supplements on the market, some of them can help you lose weight. However, these are not miracle cures, you will still have to put in some effort. They just help speed things up and give you a helping hand. One such supplement is Garcinia Cambogia. When choosing a supplement it is important to read the label and make sure it contains what it says it should. A Garcinia Cambogia supplement should contain 95% HCA for best results.